Although to date Angola’s efforts have focused on severing ties to Jean-Claude Bastos de Morais’ management of the Sovereign Wealth Fund, his involvement in what is alleged to have been the systematic theft of money from the Angolan public purse goes further than the mismanagement of the Sovereign Fund. Up to now the government has remained totally silent about a further US $3 billion dollars that Bastos secured from Angola’s Central Bank (Banco Nacional de Angola – BNA). As with the Sovereign Fund monies, the BNA funds also found their way to the Northern Trust Bank in England, reportedly used as the hub for diverting funds obtained from Angola into Bastos’ Swiss-based Quantum Global Group. 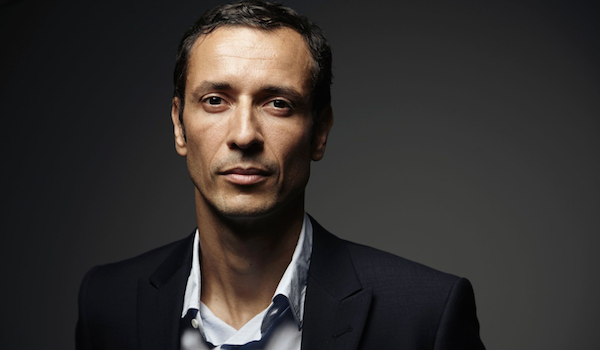 The source described how Jean-Claude Bastos de Morais signed a contract with the BNA for his companies Quantum Global Investment Management (QGIM), and Quantum Global Opportunities Fund (QGOF) to manage two investments, one for a US $1 billion dollar fund and another for €900 million euros. These investment mandates were awarded to Bastos de Morais’ companies in 2011 by the then governor of the BNA, José de Lima Massano. The documents seen by Maka Angola show that QGIM was supposed to assign the US $1 billion to a balanced portfolio, for which QGIM would not only charge a 1% management fee but would also collect a staggering 20% of any profit. What did Quantum Global consider a “balanced portfolio”? Right from the start, in 2011, QGIM, whose loan manager was Bastos de Morais’ brother Serge Bastos, “invested” US $25 million in the form of a loan to a newly-registered shell company called Novécia S.A, for gold exploration in Angola. Novécia was, in fact, Jean-Claude Bastos de Morais’ own company registered at the offices of Banco Kwanza Invest (BKI), at Avenida Comandante Gika, nº 150, Luanda. Bastos de Morais holds 85% of the shares in BKI, which was initially created with his friend Zenú. Novécia’s gold prospecting and exploration project (in the M’popo mines in Southern Huíla province) was entrusted to a public-private consortium in which Bastos de Morais and Zenú’s company Calfisa S.A, held 20% of the shares. Other shareholders in the project also included (embarrassingly) the current Angolan President João Lourenço, his cousin and the current governor of Cabinda, General Eugénio César Laborinho, and a former Angolan Army Chief of the General Staff, General António dos Santos França ‘Ndalu’, an MPLA politburo member known as the Generals’ General, among other regime stalwarts. So far it has not proven possible to verify if any of the other shareholders, with the exception of Zenú, were aware of this “loan”. Nor has it been possible to verify if any of the money was ever assigned to the M’popo project. What Maka Angola was able to verify is that the loan has never been repaid and that is “expected to be written off”. Nonetheless, Quantum Global Group CFO, Tobias Klein, kept the value of the loan, with accrued interest, at US $50 million in the books “to hide the loss from BNA”. “This is fraud”, says a central bank insider. Also in 2011, a US $26.5 million loan was made to a Refund Emerging Markets for a real estate investment in Angola. As QGIM itself has admitted, the Quantum Global Opportunities Fund (QGOF) administrator, Gareth Fielding, stole the money and produced fraudulent statements to obscure it. QGIM then “invested” US $45 million dollars between 2012 and 2013 to a York Investment Fund for oil drilling in California. It reported a loss of US $27 million in the venture, which was revalued in the books as a loss of US $19 million. Any attempt to recover the losses through a liquidator was deemed unviable by experts. Another mind-boggling “investment” was made in 2012, when QG lent US $5 million dollars to its manager Thomas Ladner to buy a stake in another Jean-Claude Bastos de Morais company, The Partnership Group (TPG). An additional loan of US $4.4 million dollars was made to TPG. No repayment of these loans has been recorded, despite extended maturity. In 2013, Gareth Fielding (manager of QGOF) and Roberto Garobbio (manager of Quantum Global Private Wealth – QGPW) made loans of €18.1 million Euros, from BNA’s second investment mandate, to a company named Winnecore for the purchase of real estate. It was simply reported that the borrowers were “not able to pay back the loan”. Their report concluded that they sought to obscure the loss by false accounting but could not find “any bank willing to do it”. In May 2015, the QG Opportunities Fund (QGOF) assigned another loan for around US $10 million dollars to Thomas Ladner, through his company FTS Capital Limited, “to invest in highly speculative pre-IPO companies”. Ladner was the chairman of the QGIM board that both approved the loan and subsequent delays for repayment. As of December 2017 these loans from BNA funds to Thomas Ladner loans amounted to US $15.5 million dollars but were recorded as being of “virtually no value” in the books. The BNA has taken steps to withdraw its assets from QGIM management but questions linger about why its governor José de Lima Massano placed US $250 million into the care of Jean-Claude Bastos de Morais. Maka Angola has also discovered that Quantum Global Group continues to charge management fees for the US $90 million non-liquid asset (out of the US $250 million investment). These disastrous financial decisions were made during José de Lima Massano’s first tenure as BNA Governor (2010-2015). Massano had been CEO of Angolan Investment Bank (Banco Angolano de Investimentos – BAI) and on moving to the BNA he took with him from BAI David Mauro Figueiredo de Carvalho, whom he appointed as Director of the Reserve Management Department. Among his responsibilities was to negotiate and oversee the BNA investment portfolio with Quantum Global. When former President Dos Santos fired Massano in 2015, David de Carvalho also left BNA, resurfacing one year later as the Quantum Global Group’s regional director for Angola and Mozambique. Consider the possibility: was this scheme another “inside job” by the Dos Santos cohort to find ways to siphon money from the Angolan public purse to themselves. With the right people in place to select their favoured vehicle for “managing the investment” of Angolan money, they could then undervalue the assets so that the difference between the original investment and current value could be pocketed without anyone noticing. Maka Angola is following up with this investigation as with many other leads into alleged grand larceny by the Dos Santos family and Jean-Claude Bastos de Morais. Clearly these investigations are an irritant to Bastos de Morais who has good reason not to want his QG Group’s dealings made public. 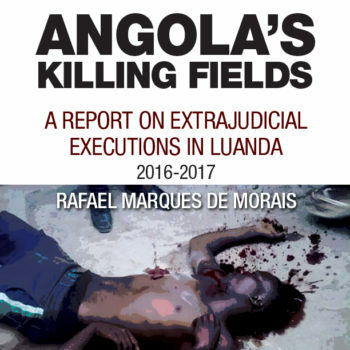 To this end he has employed the notorious UK law firm (and reputation management firm) Schillings, to threaten Maka Angola and any other media platform which may have republished our reports on Bastos de Morais’ criminal activities. So once again, Maka Angola renews its challenge to Bastos de Morais and Schillings: bring it on. We would welcome the opportunity to submit documentary evidence of wrongdoing both to the English law courts and the media. Truth and overweening public interest are the best, and absolute, defense to any defamation lawsuit.